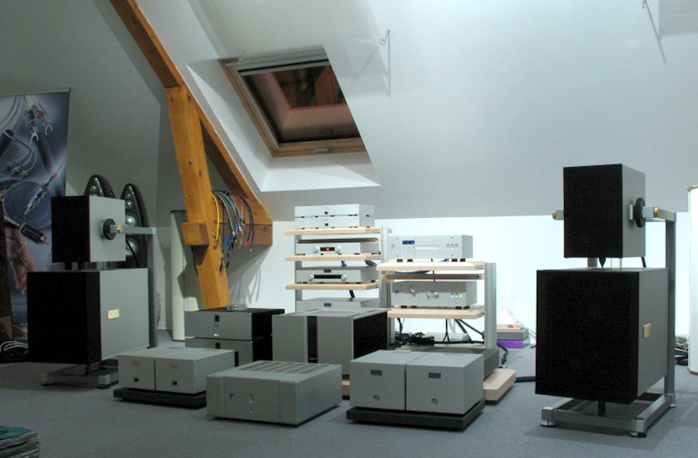 Goldmund are Swiss and from expensive to very. But they've also mixed it up at the shallower end of the pool with brands like Stellavox (pro) and still do with Job Systems (consumer). The latter made waves with last year's Job 225 launch. That's a bona fide Goldmund-built Geneva factory stereo amp. Its final global 115/230V version sells for $1'695 direct to most any country. 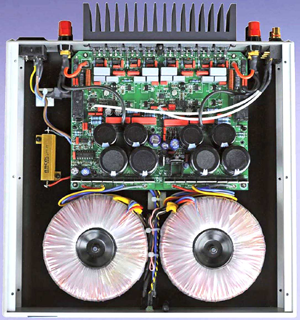 Internally it's nearly identical to the equivalent Goldmund Metis 3 stereo amp though it does lose one power transformer to go shared power supply and dumps the fancy casing. For this year Job's very minimalist and idiosyncratic website had already announced their active remote-controlled PRE2 mate. 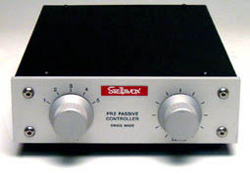 Some observers expected it to repackage the Stellavox active analogue controller. Job had also announced mono amps for later in 2014. But that wasn't why Goldmund's Rodolphe Boulanger contacted me. Far from it. "I received your contact detail from Anne Karine Agius, our sales & marketing director. You've been in touch with Anne when you reviewed the Job 225 for our sister company. 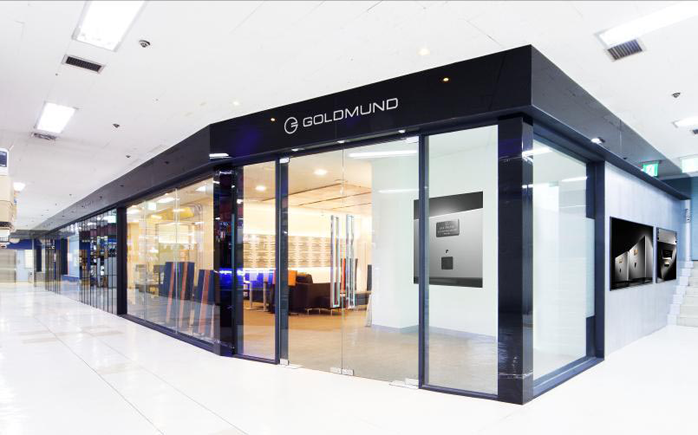 Goldmund have recently developed a lot of new products, in particular active wireless speakers. We were thinking that a presentation of this new range could interest you. If so, we would like to invite you to Geneva for a product presentation. 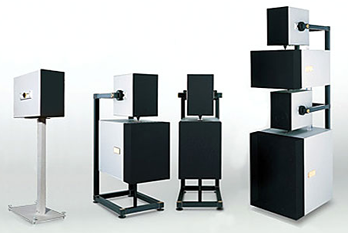 If you needed to listen more carefully within your very own environment, the proximity of your place to our factory makes it possible to organize a temporary installation at your place by our technical team." As diehard WiFi haters—my wife and I feel it on our brains, she gets actual migraines from it—I wasn't keen on Goldmund's active speakers. In fact, I thought their big ones which I'd seen in glossy adverts seriously fugly and robotic to the extreme. Hopefully this range was different. 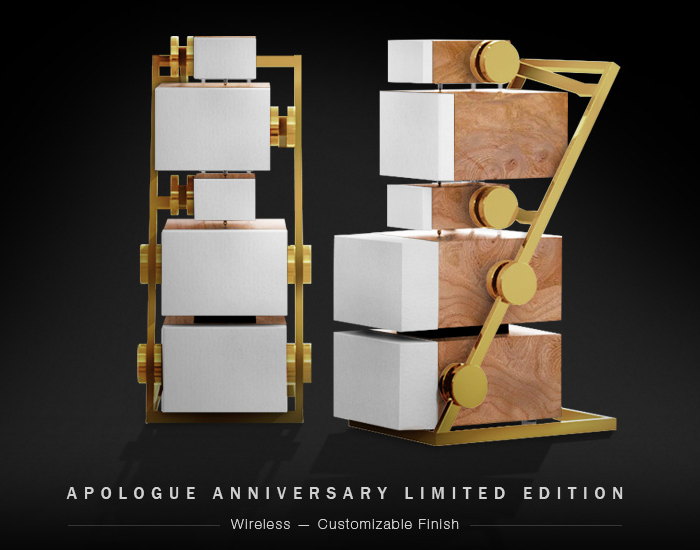 But obviously the concept of wireless active boxes had very high appeal and merit as an ultra modern installation option which imposes a minimal hardware footprint on a domestic environment. Plus, most likely these models could be operated in old-fashioned wired fashion for fossils like us. But as a reader had emailed earlier, "the rumour mill has it that Job/Goldmund will be releasing an active preamp in the next few weeks and a monoblock amplifier later this year. Can we expect more excellent coverage of Job products from 6moons?" To which I'd replied that "they certainly know how to find me. If they do, I'd be all ears and my pen would be sharp and ready" whilst posting the exchange in our feedback section. After all, you never know just who (cough) might read those letters. Really, the new Jobs as RealFi contenders were what my cross hairs were trained on. Rodolphe's proposed date would also put me "right on time for the Job Pre2. The monos are not available yet. Job are planning those for the end of the year." But as should be expected whenever encountering anything new—I really wasn't familiar with Goldmund's lineup at all because I'd always considered it well beyond my fiscal comfort zone—my visit would certainly open up strategic opportunities to get distracted from my main... er, Job. For us hifi nutters there's always the itch if not always the scratch. ... and why I'd never yet thought of them as really my kind of company. There's nothing wrong with luxury. A guy simply better know his place lest he make a fool of himself. And place in my case was in another town altogether. But, it's never too late to take a walk on the wild side. As it turned out, there's perception. And then there's reality. Goldmund was a company very much of 'my' sort. Here's how and why.